Motorcycle Accident Lawyer Denver CO - The Law Office Of Richard J. Banta, P.C. According to national statistics, about 80 percent of all motorcycle crashes result in injuries to the riders, compared to 30 percent of passenger vehicle crashes. Motorcycle accidents often leave victims with catastrophic injuries, many which leave victims permanently disabled. Depending on what type of profession the victim has, these disabilities can affect his or her ability to return to work once they have reached their maximum recovery from their injuries. If you were involved in a motorcycle accident and you suffered any form of serious injury, you should contact a motorcycle accident lawyer Denver, CO trusts. You are probably wondering if you can file a lawsuit for compensation of medical bills and lost wages; medical expenses can be very steep when dealing with motorcycle accident injuries because the spectrum is so broad. You may also not be able to physically work for a long time or permanently. Make sure that you visit a doctor as soon as you can after you are involved in an accident, so you that you can begin to medically document your injuries on paper. At the Law Office of Richard J. Banta, P.C., we have successfully represented many accident victims who were unable to return to their chosen field in obtaining financial compensation for not only their current losses, but also for the anticipated future losses their injuries will cause. If you would like to find out more, contact one of our skilled motorcycle accident attorneys. In the meantime, the following is a brief overview of legal options in these situations. The very thing that the majority of motorcycle enthusiasts finds attractive – driving in the open road with no restrictions around them – is the very factor which is also responsible for the injuries that occur if they crash. Motorcycles offer no protection to riders like other types of vehicles do and there is nothing to buffer them from the crash impact. Motorcyclists have little to no protection while riding unless they wear a helmet, leather jacket, and other appropriate gear. Because many riders do not wear helmets, they place themselves at serious risk for brain damage, concussions, swelling of the brain, spine and neck injuries, and cracked skulls are common amongst head injuries. A motorcycle accident lawyer Denver, CO residents count on can attest that while helmets do not always prevent head trauma, however, they can decrease the risk of head injury in the event you are in an accident. Biker’s arm is an injury named after a motorcyclist’s reaction of breaking their fall with one of their arms in which an arm can be broken or severely injured. This is a common injury because the reaction is very natural. Road rash, although painful, is not considered the worst injury one can get from a motorcycle accident. You may, unfortunately, need to get surgery and your skin grafted, which results in a few months of recovery. Even if you wear a leather jacket and long pants, you are still at risk for road rash. 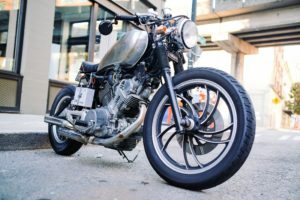 A Denver motorcycle accident lawyer has noticed that leg injuries are also common amongst motorcycle accident injuries because you have no leg protection while riding the bike. Many times, shattered and fractured bones occur. Because you have no car walls protecting you, even if you are wearing the correct gear or leather pants, you may still be injured. Your muscles can be susceptible to damage even if your injuries are not obvious because some take weeks to appear. Many of these injuries, such as brain injuries, can leave the victim unable to work no matter what type of profession they worked in before the crash. But even what appears to be minor injuries can have a profound effect on a person’s ability to earn a living. For example, a person who is a plumber by trade is in a motorcycle accident and their right hand sustains an injury that results in permanent damage to the nerves and tendons, leaving the victim unable to hold and maneuver tools that are necessary to work as a plumber. If the victim has been working as a plumber for 20 plus years, they are not left unable to work at the only profession they have ever known. The other issue is that plumbers average a very good annual income and it will likely prove difficult for someone in the victim’s position to find a new profession that they can 1.) work at with their disability and 2.) provide them with a comparable income to what they earned working as a plumber. If the accident was caused by another party, then that party would not only be liable for all medical expenses and current lost wages the victim has suffered, but they would also be liable for any future income the victim would have earned if they had not been injured. A motorcycle accident attorney Denver, CO clients recommend can also pursue damages which would cover vocational training for the victim in order to obtain education and training for a new profession. If you have been involved in a motorcycle accident and you feel you should be compensated by the other driver for injuries and damage to your bike because of the accident, what can you expect in the form of damages? An experienced motorcycle accident lawyer for Denver, CO knows that a lot will depend upon the circumstances surrounding your accident and if the court finds you had any part at all in causing the accident. In other words, did the accident occur because you were partially negligent? Negligence, by court standards, means not acting with reasonable care. For example, did you drive your motorcycle responsibly, as most riders would do in the same situation? Could you have taken reasonable care to avoid the accident? This brings up the terms contributory negligence and comparative negligence. What is Contributory Negligence and How Does This Affect Any Compensation? Ask your Denver, CO motorcycle accident lawyer if Colorado has laws for contributory negligence. This will come into play if the court finds you even partially responsible for the accident. Contributory negligence means that you will not be rewarded any compensation for damages should the court determine you were at fault — even a little bit — for the resulting accident. Perhaps you were speeding through a traffic light and someone turning left thought you were coming at the posted speed limit and therefore they had time to turn. The court may rule that had you not been speeding, the left turn could have been completed safely. Jurisdictions that use comparative negligence may reduce the amount of compensation awarded to you by the degree of fault they decide falls to you. If they felt the accident was forty percent your fault, the amount of damages you may receive could be decreased by forty percent. A motorcycle accident lawyer practicing in Denver, CO will know the precedents in your jurisdiction. I Was Not Wearing a Helmet at the Time of My Accident. Will This Affect My Case? While many states have mandatory helmet laws, if Colorado is one of those states and you were not wearing your helmet at the time of the accident, it does not mean you cannot collect damages for an accident that was determined not to be your fault. A motorcycle accident lawyer serving Denver, CO can explain how this law may affect you. What Kind of Compensation Can I Collect if My Case is Successful? If the insurance settlement amount does not cover all of these expenses, do not accept the offer and contact your motorcycle accident lawyer for Denver, CO to inform them of your intentions. A lawsuit may be the best way for you to recover these expenses and The Law Office of Richard J Banta, P.C. is ready to fight for you! What should I do if I have experienced a motorcycle accident? Once you have obtained treatment, it will be key that you contact an attorney as quickly as possible. An attorney can provide you with the direction you need when determining if you should make efforts to obtain compensation in the form of an accident claim. Key elements are needed to help prove liability in motorcycle accident cases. We will work with you to gather the necessary evidence to help prove your case. What will happen if the counter offer from the insurance company is too low? Once we have sent a demand letter to the insurance company, an insurance adjuster will be assigned to oversee your case. The insurance adjuster investigates and reviews your case and determines if they are willing to pay what you are asking. It’s important to note that in most cases, the counter offer from the insurance company will likely be a low ball offer. While this is disheartening, it’s important to bear in mind that this is when the start of negotiations kick off. During negotiations, your attorney will work to to negotiate the best possible offer for you. This often involves a series of back and forth offers until an agreement is reached. 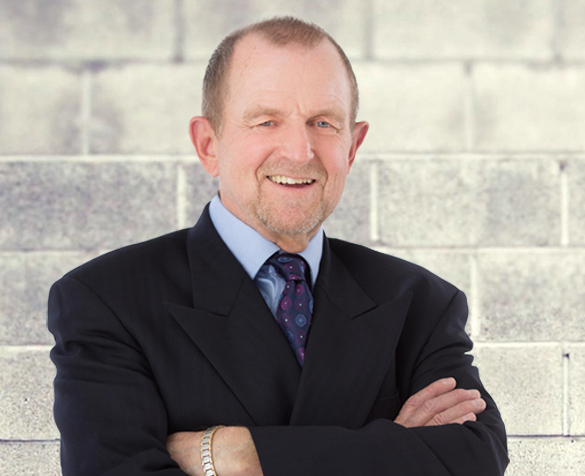 How does the Law Office of Richard J. Banta stand apart from all the rest? The Law Office of Richard J. Banta can provide you years of experience in representing motorcycle accident cases. Because of this, our experience and ability to manage the unexpected gives us the ability to protect your rights and represent you to our fullest abilities. With our help, we will work to help you obtain compensation for the losses you have experienced. We are dedicated to educating, advising and negotiating in efforts to help victims who have suffered a motorcycle accident. In the wake of a motorcycle accident, the Law Office of Richard J. Banta can help map out a clear direction for your case. It can be completely overwhelming to face accident recovery in addition to putting together an accident claim case. We are ready to help you take the necessary steps needs to help you obtain the outcome you are hoping for. You may want to reach out to an experienced motorcycle accident lawyer Denver, CO respects if you are considering suing for medical expenses or lost wages as a result of the accident. He or she can help further assist you in court as well as in your claim, and ensure that you receive a fair compensation in the settlement. For a complimentary consultation with the Law Office of Richard J. Banta, P.C., a motorcycle accident lawyer Denver, CO depends on, please call our office today.